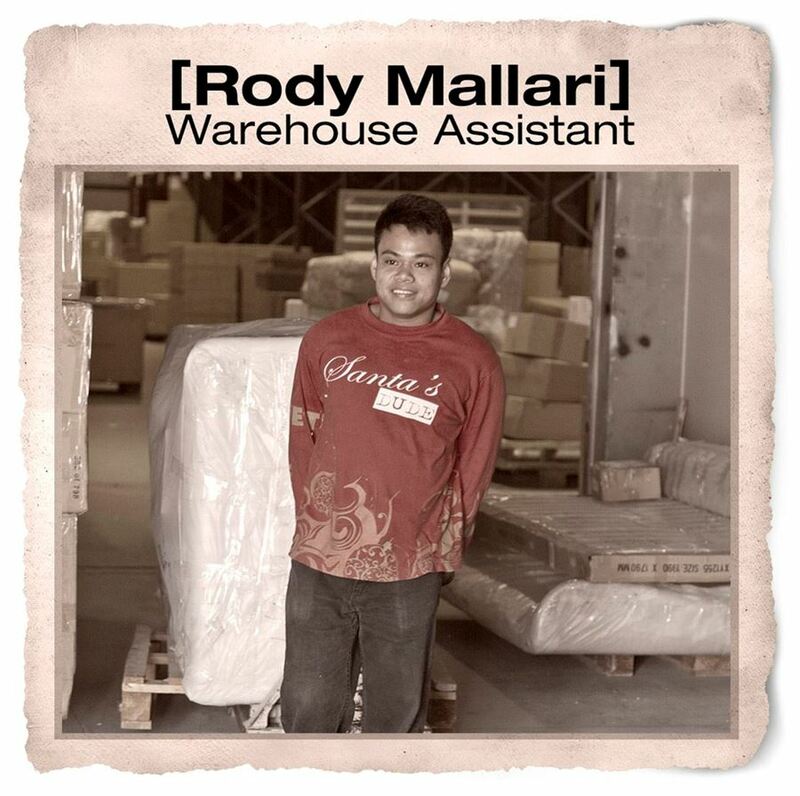 Rody Mallari, ayoung Filipino born with Leg Length Discrepancy, joined our Dubai Local Distribution Centre team on 3 December 2013 as a fulltime Warehouse Assistant. As a child, Rody suffered from severe back pain due to his condition, but a spinal operation at the age of 9 alleviated this pain and after a lot of physiotherapy he has been able to live a normal life, despite a pronounced limp. Rody worked as a Warehouse Assistant at a Hardware company in the Philippines for a year before deciding to venture out to the UAE to find a job which would help him provide a better life for himself and his family back home. As luck would have it, we had a vacancy for a Warehouse Assistant, so when Rody’s uncle, who has been a carpenter at our LDC for over 5 years, showed us his CV it wasn’t a hard decision to give Rody the position. His responsibilities include picking and packing orders for customer deliveries and store replenishment, in addition to the loading and unloading of our trucks and he is doing a great job! Rody is the youngest member of his family and the only one to leave the Phillippines in search of a better future. We wish him great success at THE One.